It’s Regina Wright’s love for God and people that brought her to the Riverwood family. When the Executive Director position became available in September of 2009, she knew that this was the role God had been preparing her for throughout her life. 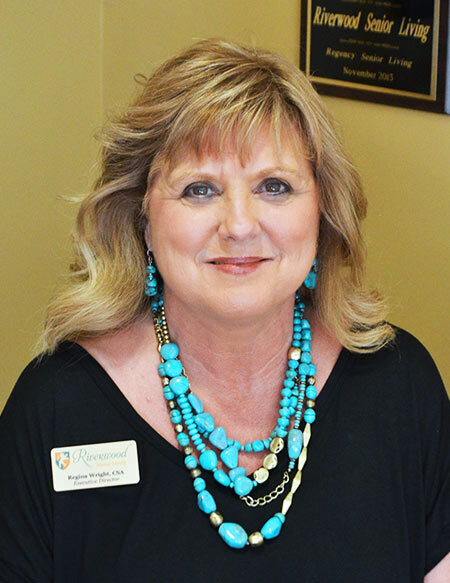 Prior to becoming a Certified Senior Advisor, Regina worked in home care and held the position of assistant manager at a local credit union for 18 years. Born and raised in Floyd County, Regina enjoys spending time with her family, especially her grandchildren, in her spare time.